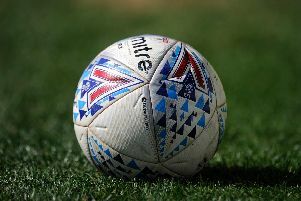 Peterborough United have today (July 20) announced the arrival of four new players. Left-back Andrew Fox (22), midfielder Kieran Sadlier (20), striker Souleymane Coulibaly (20), who have all been on trail at Posh this summer, have been joined by Luton Town striker Lee Angol (20) at the ABAX Stadium. New Posh striker Lee Angol. Photo: Joe Dent/theposh.com. Fox is originally from Swavesey, near Cambridge and has been playing college football in the United States. Sadlier was a West Ham youth team player who spent the second-half of last season playing for St Mirren in the Scottish Premier League and Coulibaly was at Spurs before trying his hand in Italian football last season. Angol scored 25 goals in 39 appearances on loan to non-league side Boreham Wood last season. All four newcomers fit in with the club’s long-held policy of signing young and hungry players. Posh manager Dave Robertson said: “Andrew Fox comes with a good pedigree. He brings a bit of versatility and I am looking forward to working with him and developing him. “Soulemayne has been on our radar for a while as part of our recruitment strategy and it is great to have him on board. He has been training with us and we know what he can bring to us. “Lee is an exciting young forward who scored a hatful of goals for Boreham Wood last season. I have spent some time with him and it is obvious that he is hungry and wants to develop as a striker. “We have beaten off other clubs from the Premier League and the Championship to sign him and I believe he will make a real impression. Sadlier spent 11 years at Upton Park. He has impressed with his attacking bursts from midfield this summer. Fox can operate on the left side of defence or midfield. He has spent the last four years playing in Texas. Coulibaly was at Spurs for three years and has also represented Ivory Coast at under 20 level. He scored a hat-trick against Brazil Under 20s. Angol moved to Luton following his release from Wycombe, but never played for The Hatters. Posh have paid an undisclosed fee to Luton. Angol has put pen to paper on a three-year deal. The length of the other contracts have not been disclosed.